Welcome you to Mawarra Herefords, their home and business. With the on-going support of Peter’s Mum, Helen, and together with their children, Brandon, Logan and Taylah, Peter and Deanne are dedicated to the continued success of Mawarra and upholding the legacy of their late father and ‘Da’, Robert. Peter has, on four occasions, travelled to North America & Canada gaining experience working with and visiting herds. Peter served a term as a Director of Herefords Australia and was Chairman of the Marketing and Sponsorship Committee. He has been an active member of the Hereford National Show & Sale Committee (Wodonga) for fifteen years and is also a past President of the Gippsland Hereford Group. Peter has judged in all Australian States including Royal Show assignments at Melbourne, Sydney, Adelaide, Brisbane & Geelong.In 2012 he was honoured to preside over the Hereford National Show & Sale (Dubbo). In 2013 Peter travelled to New Zealand and adjudicated at the Royal Show, Fielding. Deanne manages the administration, personnel, finance & marketing aspects of the business including full catalogue and website production. 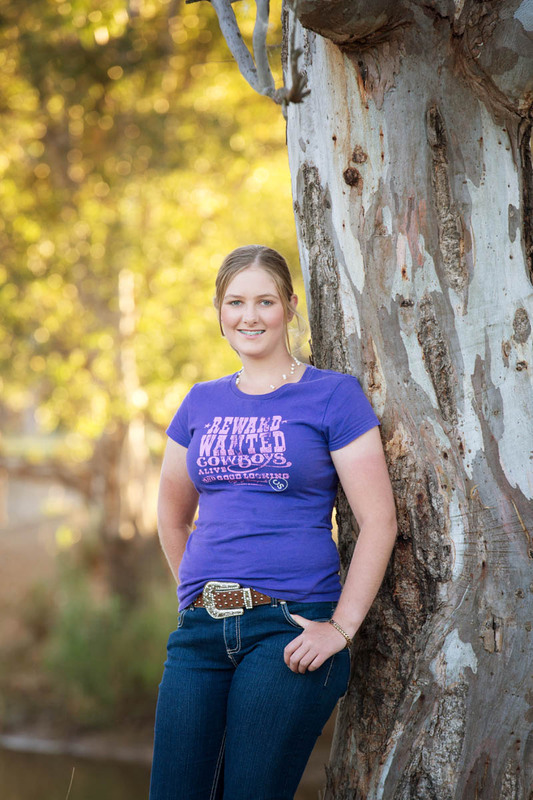 Deanne has a Diploma of Agribusiness Management, served a five year term as Secretary of the Gippsland Hereford Group and a three year term as President of the Longford Primary School Council. Peter & Deanne travelled to Canada during 2009 where they toured twenty herds of Hereford and Poll Hereford cattle and again in 2012 to attend the World Hereford Conference in Calgary. In 2011 & 2013 the family travelled to New Zealand and visited herds across both Islands. They travelled to South America in 2016 in took part in the World Hereford Conference. Mawarra represented Australia with a pen of heifers in the International Show event. 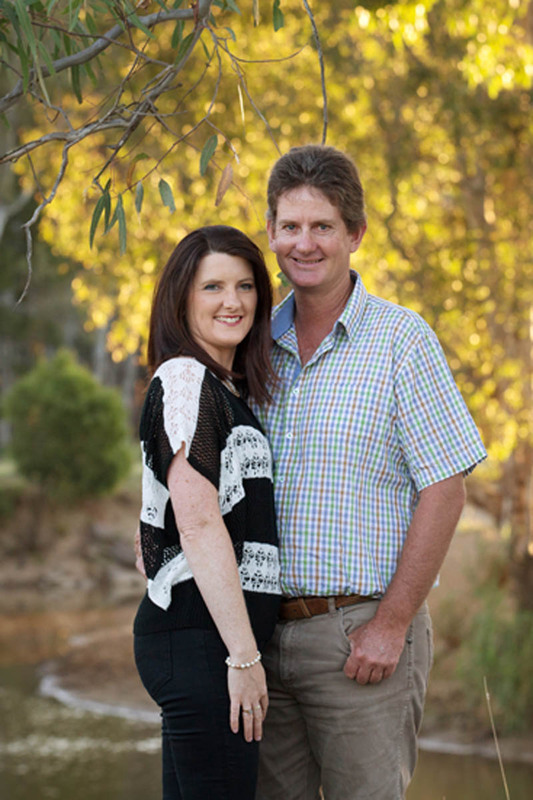 Extensive travel throughout Australia, to visit clients and other herds, enables Peter and Deanne to stay abreast of new bloodlines and follow up the contribution Mawarra genetics are making across the industry. Brandon was the first of the ‘new generation’ to take up full time employment at Mawarra. He and Brittany were married in 2107. Brandon has produced all the videos of the cattle you will find linked throughout this website or on our YouTube channel. In 2017 they began their own business, BJS Livestock Photography. Their client list is growing rapidly. 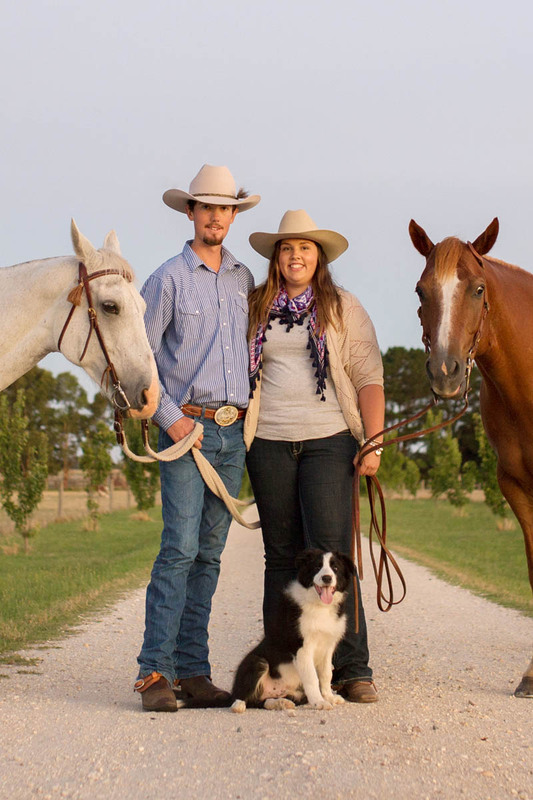 Brandon and Brittany, spent six months in Canada during 2013 working on ranches, participating in the Canadian Junior Bonanza and working for exhibitors at the Calgary Stampede and Agribition. They visited Hereford herds across three provinces. They returned in 2015 to attend both the Canadian and American National Youth Shows. Brandon was named the Herefords Australia Youth Ambassador of the Year 2013/14. Brandon co-ordinated the Herefords Australia Youth National Heifer Show in July 2014, bringing the event to Victoria for only the second time. Brandon served two terms as President of the National Hereford Youth and is in his second term as President of the Victorian Hereford Youth Group. Brandon exhibited a team of eight Hereford and Hereford cross steers, to great success, at the 2014 Royal Melbourne Show. Two of his team were selected in the prestigious Borthwick Trophy and he won Medium Domestic Carcase (follow link to full report). Brandon has exhibited steers at the Royal Melbourne Show on three previous occasions, twice before he has had steers included in the Borthwick Trophy. Brandon was awarded the Young Herdsperson Award at the 2009 Berwick Show. He has won numerous Junior Handler Competitions throughout Gippsland and competed in the State Final in 2012. He was very proud to win the State Final for the Junior Judging in 2012, he went on to compete in New Zealand for the National Title in 2013 where he was Reserve Champion Beef Cattle Judge. 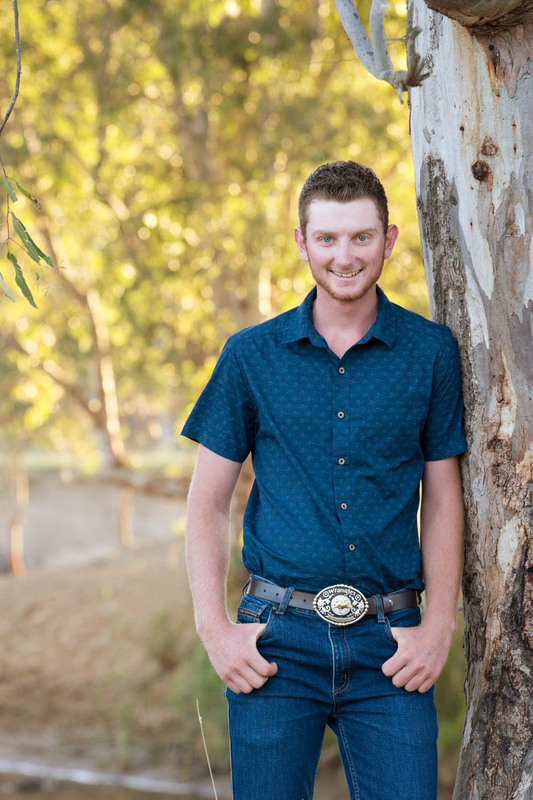 Brandon registered his own stud in 2013, MawarraB, and is passionate about promoting the performance and market suitability of Herefords and youth participation in the beef industry. Logan has a keen eye for livestock and a passion for the Hereford breed. He joys the challenge of sourcing and selecting genetics and takes great pride in providing high quality husbandry to our stock. The Hereford National Show and Sale is always a highlight and Logan has paraded many of our entries. He was very proud to stand in the showring alongside Peter & Brandon parading our three section Champions prior to the Grand Champion being selected in 2011. The same year Logan won the Champion Handler at the Berwick Show. In 2014 he qualified for the Junior Beef Judging State Final. 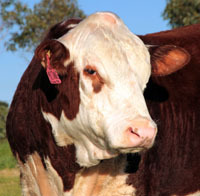 He prepared and exhibited a steer in the Carcase Competition, and a stud cattle team of eight for the Hereford Feature, at the Royal Melbourne Show in 2013. Logan with M. Air Marshall took out the Supreme Hereford Exhibit and Interbreed Champion Bull in Melbourne Show 2013. Logan has travelled with Peter on many occasions to inspect herds and attend sales. Logan has worked at the renowned Mountain Calf Sales in Omeo and spent four months working in Queensland at Talbalba Herefords in 2014. Logan travelled to New Zealand in 2015 and worked at Hereford farms in both the north and south Islands. Recently Logan travelled to the United Kingdom and Ireland visiting herds and inspecting first hand the contribution Mawarra genetics are making in the northern hemisphere. is as passionate about Herefords as her brothers and really came into her own at the 2014 Youth Heifer Show in Melbourne. Taylah was crowned Intermediate Champion Parader and her heifer won Intermediate Champion also. Taylah enjoyed the social nature of the event and loved spending time with like minded kids and learning new skills. At the Berwick Show in February she was awarded Reserve Champion Parader and Reserve Champion Junior Judge. Taylah won her first Handlers competition at Berwick in 2007. Taylah has completed Year 12 and has undertaken Certificate III in Agriculture and enrolled for a Diploma in Agribusiness Management. Taylah is keen to contribute to the Mawarra story. At Mawarra Herefords we are committed to consistently breeding modern, efficient, profitable Hereford and Poll Hereford (Whiteface) cattle to meet the needs of our clients and the greater beef industry by utilizing good old fashioned ‘cattlemanship’ and modern breeding technologies. Our clients have a diverse range of end markets; we strive to present Whiteface bulls and females that offer a range of genetic options and performance traits, enabling our clients to purchase from the same ‘farm gate’ while continuing to improve and diversify their own breeding programs. Our breeding herd has been developed over more than half a century and our dedication to Mawarra and the Hereford bred spans three generations of our family. Strong foundations and modern applications combine at Mawarra to produce performance driven seed stock to improve your profitability. 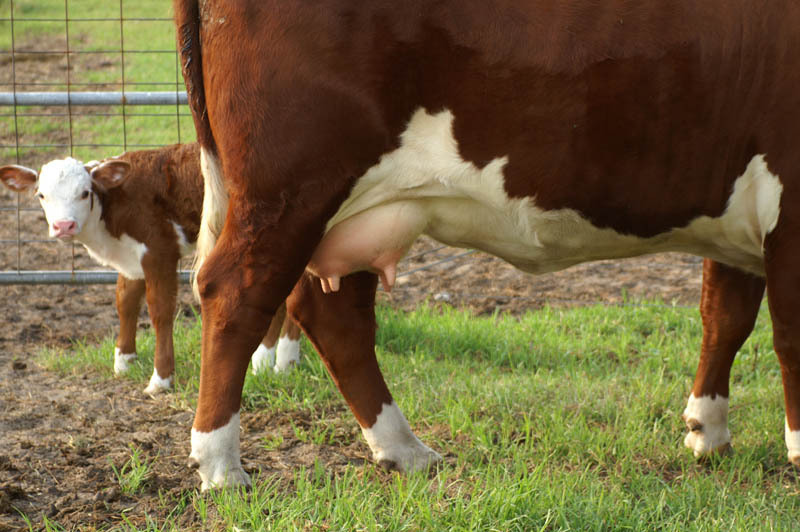 The Mawarra female herd consists of approximately 350 breeders plus replacement heifers. Since its inception and until 2002, the herd was based at Gelantipy in the mountains of East Gippsland, close to the famous Snowy River, an area well known for its Hereford cattle. In 2002 we moved to Longford in Central Gippsland, on the banks of the Latrobe River. The country is different but the emphasis we place on the female pedigree has remained the same and we strive to continue improving them with each generation. We are proud of the reputation the Mawarra females have earned: easy doing, heavy milking, sound, fertile and having the ability to breed with consistency. We have a number of outstanding female lines, most notably the Minerva and Miss Titania families. While using an extensive range of Sires sourced from all over the world several sires have, over the years, played an important role in giving us the female lines we have today; S Britisher 39D, Franz Josef Lieutenant 2, Hi Voltage 80S SIC, Dunrobin Super Star 2A SIC, Charvel Lawful, Mawarra Kahlua, Mawarra Nostalgia, Cootharaba Magnum, Talbalba Valiant & Mawarra Vice Admiral. At Mawarra we strive to offer a diverse range of genetic options for our clients. This enables them to purchase from the same “farm gate” and continue to improve and diversify their own herds by investing in different sire lines. We continually source new and varied genetics with the aim being to produce sires that will contribute to the many different end markets of our clients. Our home bred sires have the many years of Mawarra maternal strength behind them and all outcross sires are thoroughly scrutinized prior to purchase with particular emphasis placed on the maternal lines in the pedigree. To view our sires, and the contributions they have made, please click on the links below. Industry leading performance and consumer satisfaction can only be achieved by building and maintaining strong partnerships along the supply chain. We value the opportunity to develop relationships with our clients/friends and find that it is to our mutual benefit. No one knows our cattle like we do; we are always happy to take you through our herd and discuss our breeding program. In turn, it is invaluable for us to receive feedback on the contribution that our sires and females are making in other herds. We make every effort to visit our clients’ property’s, discuss their breeding programs, target markets and genetics options. Talk to us, and together, we can contribute to the ongoing supply of sustainable, profitable, efficient, ethical red meat to the discerning consumer.